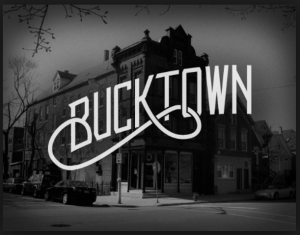 Bucktown is a popular neighborhood for all demographics. It offers beautiful homes. cutting edge boutiques, incredible restaurants andfamily friendly parks. Damen Avenue is the main thoroughfare through the neighborhood and serves as the neighborhood’s commercial corridor. Beautiful homes and parks run along both the east side and west side of Damen Avenue. Bucktown is accessible by car and CTA. The highway runs along the neighborhood’s north and east borders and connects drivers with downtown. The CTA Blue Line Damen stop at Milwaukee/North and Damen will put you in the heart of the action. This Chicago neighborhood is also easily reached by both the Fullerton and North Avenue buses that run along Bucktown’s north and southern borders as well as the Western and Ashland buses, which operated along Bucktown’s western and eastern borders, respectively.